Did you know that more firefighters die each year from suicide than firefighting? 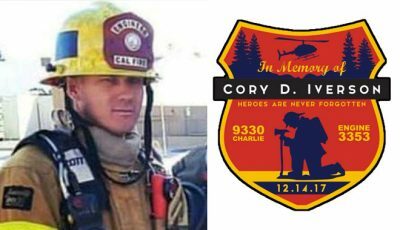 Ashley Iverson tragically lost her firefighter husband, Cory, in the December Thomas Fire. From that moment on she knew her life’s mission would be to help firefighters who struggle with the effects of trauma they see every working day of their careers. During each shift firefighters and EMTs may see severe injuries and deaths for people mangled in auto wrecks, accidents, and attacks. The fire department culture for many years was to put aside the experiences and move forward. Now we know the emotional impacts of these events cannot just be put aside. They eat away at an individual, much the same as military personnel experience post-traumatic stress disorder (PTSD) from battle. The San Diego Regional Fire Foundation is pleased to have worked with Ashley to help make IFAA a reality and to obtain its 501c3 tax exempt status from the IRS. Read more about Corey and the IFAA mission at www.Iversonfaa.com.